Dear Aspirants, We are sharing e-book Computer Awareness Question Bank with Bullet Points in PDF Format. This is very helpful to accelerate your skills in the subject of Computer Awareness. 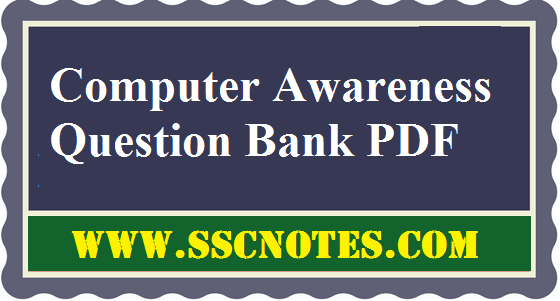 Please go through the provided PDF reading material, this will help upcoming competitive exams like IBPS PO, IBPS Clerk, SBI PO, SBI Clerk, Bank exams, Railway Exams, RRB Exams etc… You are advised to download Computer Awareness Question Bank PDF Free by provided a link given below.